Tattered Lace Gazing at the Countryside is perfect if you are looking to make something with that perfect setting. This die set consists of a countryside scene panel that can be used as a background. 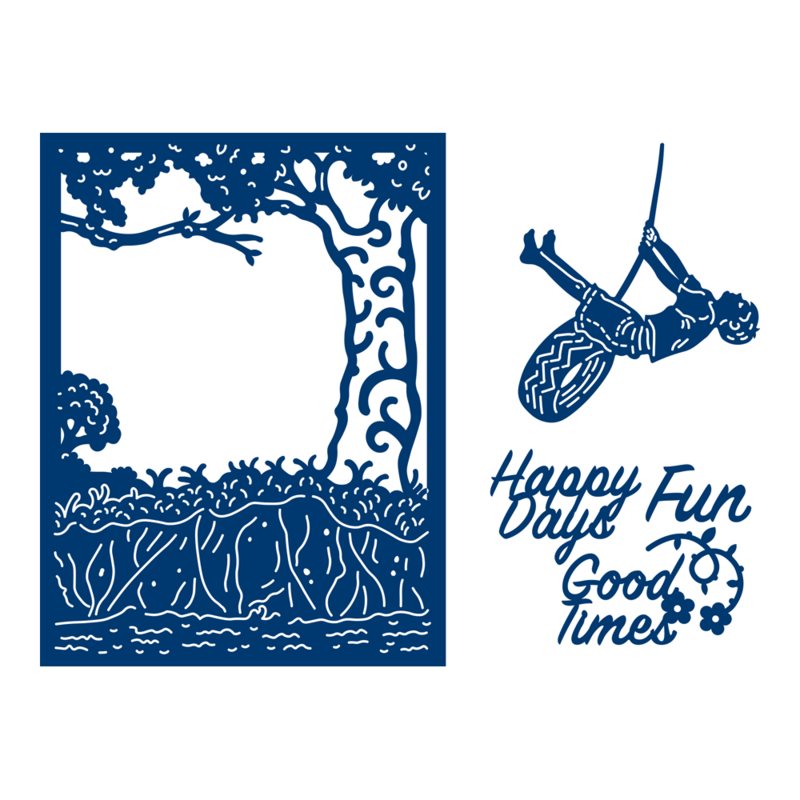 There is also a boy on a tyre swing that can be place onto the tree branch along with three different sentiments ‘Happy days’, ‘Fun’ and ‘Good Times’. Use the frame die to create an aperture, the sentiments can be suited to an array of occasions throughout the year. This Die is a great way to create childhood memories and add an element of fun to cards and crafts.